Ukraine ( i/juːˈkreɪn/ yew-krayn; Ukrainian: Україна, transliterated: Ukrayina, [ukrɑˈjinɑ]; Russian: Украи́на; Crimean Tatar: Ukraina) is a country in Central and Eastern Europe. Ukraine bordersthe Russian Federation to the east and northeast, Belarus to the northwest, Poland, Slovakia and Hungary to the west, Romania and Moldova to the southwest, and the Black Sea and Sea of Azov to the south and southeast, respectively. It has an area of 603,628 km², making it the second largest contiguous country on the European continent, after the Russian Federation. According to a popular and well established theory the medieval state of Kievan Rus was established by the Varangians in the 9th century as the first historically recorded East Slavic state which emerged as a powerful nation in the Middle Ages until it disintegrated in the 12th century. By the middle of the 14th century, Ukrainian territories were under the rule of three external powers—theGolden Horde, the Grand Duchy of Lithuania, and the Kingdom of Poland. After the Great Northern War (1700–1721) Ukraine was divided between a number of regional powers and, by the 19th century, the largest part of Ukraine was integrated into the Russian Empire with the rest under Austro-Hungarian control. A chaotic period of incessant warfare ensued, with several attempts at independence from 1917 to 1921, following World War I and the Russian Civil War. Ukraine emerged from this fighting on December 30, 1922 as one of the founding republics of the Soviet Union. The Ukrainian Soviet Socialist Republic's territory was enlarged westward shortly before and after World War II, and southwards in 1954 with the Crimea transfer. In 1945, the Ukrainian SSR became one of the founding members of the United Nations. Ukraine became independent again when the Soviet Union dissolved in 1991. This dissolution started a period of transition to a market economy, in which Ukraine was stricken with an eight-yearrecession. Since then, however, the economy experienced a high increase in GDP growth. Ukraine was caught up in the worldwide economic crisis in 2008 and the economy plunged. GDP fell 20% from spring 2008 to spring 2009, then leveled off as analysts compared the magnitude of the downturn to the worst years of economic depression during the early 1990s. However, the country remains a globally-important market and supplier, particularly, the world's third biggest grain exporter (as of 2011). Ukraine is a unitary state composed of 24 oblasts (provinces), one autonomous republic (Crimea), and two cities with special status: Kiev, its capital and largest city, and Sevastopol, which houses the Russian Black Sea Fleet under a leasing agreement. Ukraine is a republic under a semi-presidential system with separate legislative, executive, and judicial branches. Since thedissolution of the Soviet Union, Ukraine continues to maintain the second largest military in Europe, after that of Russia. The country is home to 46 million people, 77.8 percent of whom are ethnicUkrainians, with sizable minorities of Russians (17%), Belarusians and Romanians. The Ukrainian language is the official language in Ukraine. Russian is also widely spoken. The dominant religion in the country is Eastern Orthodox Christianity, which has heavily influenced Ukrainian architecture, literature and music. In Soviet times, the economy of Ukraine was the second largest in the Soviet Union, being an important industrial and agricultural component of the country's planned economy. With the dissolution of the Soviet system, the country moved from a planned economy to a market economy. The transition process was difficult for the majority of the population which plunged into poverty. Ukraine's economy contracted severely following the years after the Soviet dissolution. Day to day life for the average person living in Ukraine was a struggle. A significant number of citizens in rural Ukraine survived by growing their own food, often working two or more jobs and buying the basic necessities through the barter economy. Prices stabilized only after the introduction of new currency, the hryvnia, in 1996. The country was also slow in implementing structural reforms. Following independence, the government formed a legal framework for privatization. However, widespread resistance to reforms within the government and from a significant part of the population soon stalled the reform efforts. A large number of state-owned enterprises were exempt from the privatization process. In the meantime, by 1999, the GDP had fallen to less than 40 percent of the 1991 level, but recovered to slightly above the 100 percent mark by the end of 2006. 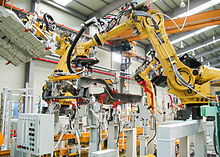 In the early 2000s, the economy showed strong export-based growth of 5 to 10 percent, with industrial production growing more than 10 percent per year. Ukraine was hit by the economic crisis of 2008 and in November 2008, the IMF approved a stand-by loan of $16.5 billion for the country. The Ukrainian-made Antonov An-225 is the largest aircraft ever built. Ukraine's 2010 GDP (PPP), as calculated by the CIA, is ranked 38th in the world and estimated at $305.2 billion. Its GDP per capita in 2010 according to the CIA was $6,700 (in PPP terms), ranked 107rd in the world. Nominal GDP (in U.S. dollars, calculated at market exchange rate) was $136 billion,ranked 53st in the world. By July 2008 the average nominal salary in Ukraine reached 1,930 hryvnias per month. Despite remaining lower than in neighboring central European countries, the salary income growth in 2008 stood at 36.8 percent According to the UNDP in 2003 4.9 percent of the Ukrainian population lived under 2 US dollar a day and 19.5 percent of the population lived below the national poverty line that same year. Ukraine produces nearly all types of transportation vehicles and spacecraft. Antonov airplanes and KrAZ trucks are exported to many countries. The majority of Ukrainian exports are marketed to the European Union and CIS. Since independence, Ukraine has maintained its own space agency, theNational Space Agency of Ukraine (NSAU). Ukraine became an active participant in scientific space exploration and remote sensing missions. Between 1991 and 2007, Ukraine has launched six self made satellites and 101 launch vehicles, and continues to design spacecraft. Ukraine has a very large heavy-industry base and is one of the largest refiners of metallurgical products in Eastern Europe. However, the country is also well known for its production of high-technological goods and transport products, such as Antonov aircraft and various private and commercial vehicles. The country's largest and most competitive firms are components of the PFTS index which is traded on the PFTS Ukraine Stock Exchange. Well known Ukrainian brands include, amongst others, Antonov, Naftogaz Ukrainy, AvtoZAZ, PrivatBank, Roshen, Yuzhmash, Nemiroff, Motor Sich, Khortytsa, Kyivstar, and Aerosvit. Ukraine is regarded as being a developing economy with high potential for future success, however such a development is thought to be likely only with new all-encompassing economic and legal reforms. Although Foreign Direct Investment in Ukraine has remained relatively strong ever since recession of the early 1990s, the country has had trouble maintaining stable economic growth. Issues relating to current corporate governance in Ukraine are primarily linked to the large scale monopolisation of traditional heavy industries by wealthy individuals such as Rinat Akhmetov, the enduring failure to broaden the nation's economic base and a lack of effective legal protection for investors and their products. Despite all this, Ukraine's economy is still expected to grow by around 3.5% in 2010. Ukraine is a destination on the crossroads between central and eastern Europe, between north and south. It borders Russia and is not far from Turkey. It has mountain ranges – the Carpathian Mountains suitable for skiing, hiking, fishing and hunting. The coastline on the Black Sea is a popular summer destination for vacationers. Ukraine has vineyards where they produce native wines, ruins of ancient castles, historical parks, Orthodox and Catholic churches as well as a few mosques and synagogues. Kiev, the country's capital city has many unique structures such as Saint Sophia Cathedral and broad boulevards. There are other cities well-known to tourists such as the harbour town Odessa and the old city of Lviv in the west. The Crimea, a little "continent" of its own, is a popular vacation destination for tourists for swimming or sun tanning on the Black Sea with its warm climate, rugged mountains, plateaus and ancient ruins. Cities there include: Sevastopol andYalta – location of the peace conference at the end of World War II. Visitors can also take cruise tours by ship on Dnieper River from Kiev to the Black Sea coastline. Ukrainian cuisine has a long history and offers a wide variety of original dishes.